The depth and breadth of what science fiction and fantasy fiction is changes with every passing year. The two dozen stories chosen for this book by award-winning anthologist Jonathan Strahan carefully maps this evolution, giving readers a captivating and always-entertaining look at the very best the genre has to offer. 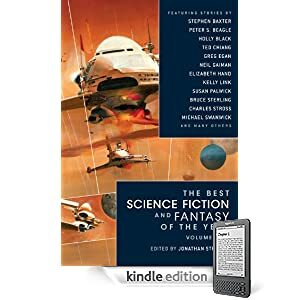 Jonathan Strahan has edited more than twenty anthologies and collections, including The Locus Awards, The New Space Opera, The Jack Vance Treasury, and a number of year's best annuals. He has won the Ditmar, William J. Atheling Jr. and Peter McNamara Awards for his work as an anthologist, and is the reviews editor for Locus. Or purchase The Best Science Fiction and Fantasy of the Year, Volume Two as a DRM-free e-book in the format of your choice through WebScription.net.